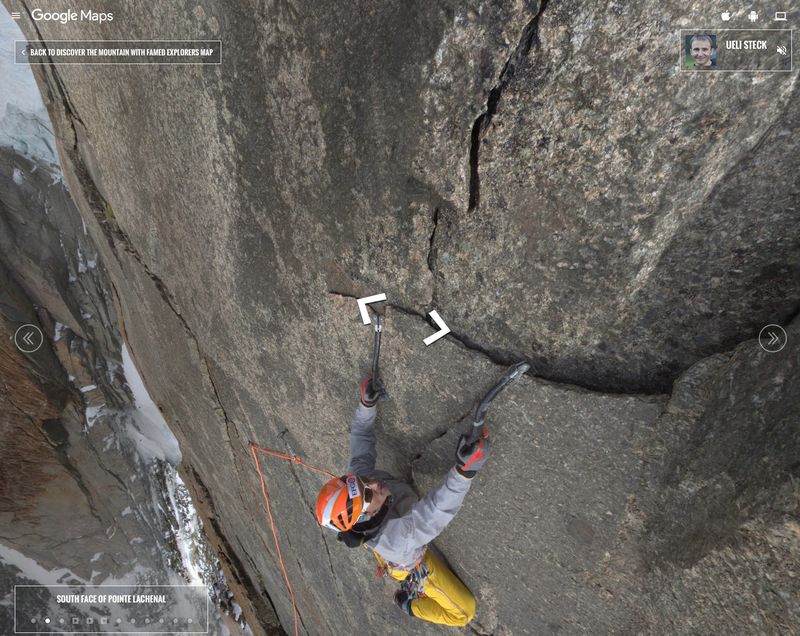 Google launched Mont Blanc in Google Maps this week. Mont Blanc is the highest peak (4809m) in Europe, excluding Elbrus (5642m) in Caucasus. 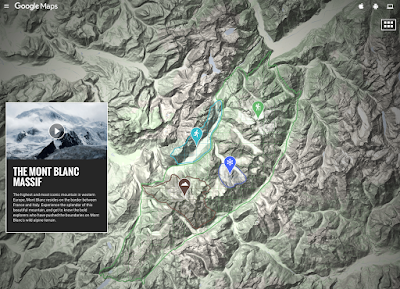 In real life I have climbed Elbrus, but Mont Blanc only virtually here. The Gouter Route to the 4809m peak. 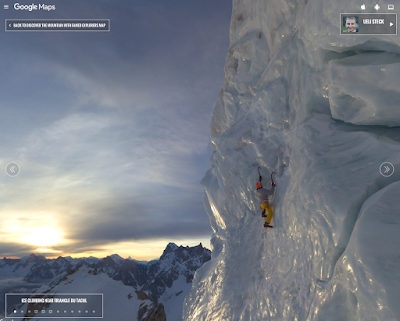 The changing massif (visit the shrinking Mer de Glace glacier). 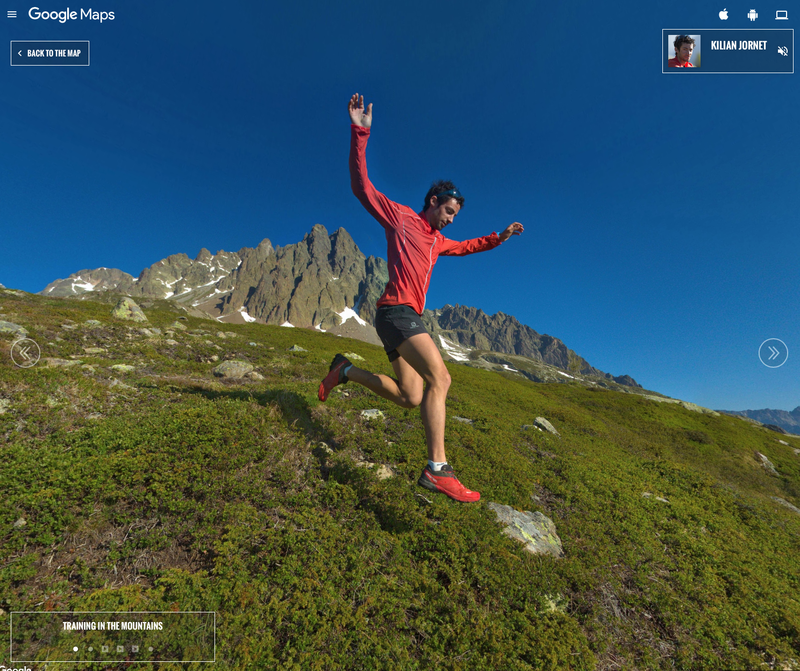 Kilian Jornet running up and down Mont Blanc - he has done it in 4h 57mins. 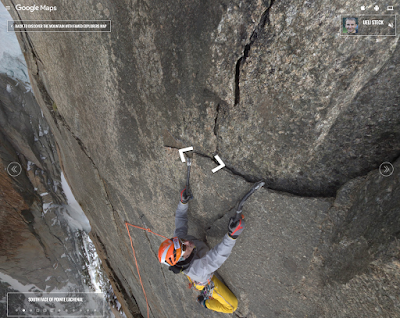 I found this an interesting addition to last year's El Capitan in Yosemite. 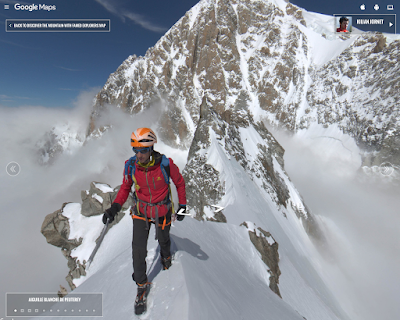 Hopefully Google will add a Street View of the whole UTMB course around the Mont Blanc Massif in the future. Until then you have to run it yourself, like I did (my UTMB 2014 race report). Ueli Steck ice climbing near Triangle du Tacul. 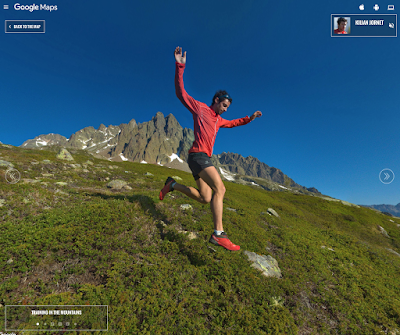 Kilian Jornet's typical training run.